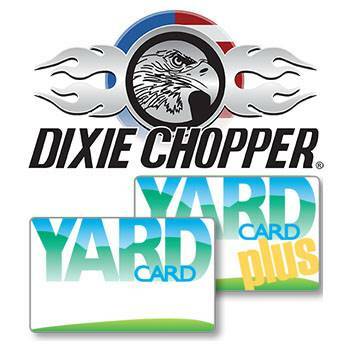 2019 Dixie Chopper 3566KW Eagle HP 35 hp 66 in. The new Eagle HP provides the ultimate mowing experience with unmatched combination of speed, power, performance, advanced operator controls, and comfort. SPRINGER FORKS: Standard on all Eagle HP models to help absorb bumps and imperfections in the turf creating a smoother ride for the operator. PURE POWER : Equipped with the industry preferred Kawasaki® FX or Kohler® EFI engines up to 35 horsepower for trusted performance and reliability. 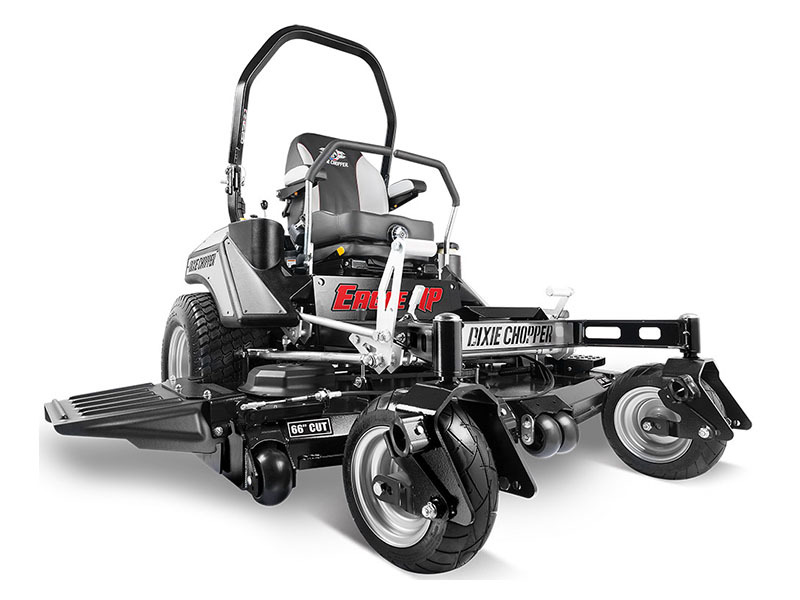 DEEP DECK: Offered in three cutting widths (60", 66", and 72"), the Eagle HP's deck features a deep 7 gauge shell to handle more volume when tackling through tough grass. SMOOTH AND FAST: The Parker® HTG series transmissions deliver super smooth steering up to 14 miles per hour in a reliable and efficient drivetrain. ULTIMATE COMFORT: High-back bolstered design with padded armrests, recline, lumbar, and ISO mounted platform provides the best riding experience. INCOMMAND™ CONSOLE : Full control at your fingertips. Features a keyless ignition, blade and job timer, tachometer, fuel gauge, and SoftStart clutch engagement. 3566KW Eagle HP 35 hp 66 in. Rollbar down - 90.9 in. Rollbar up - 77.7 in. Overall (chute down) - 83.2 in. Chute up - 72.5 in. 3 - 2.5 x 22.5 in.